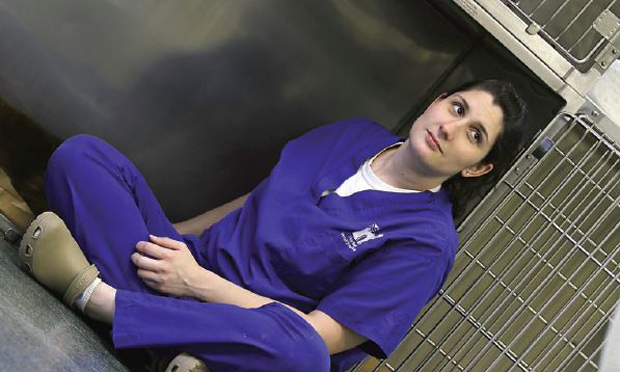 While technicians who work outside small animal general practices often find themselves highly utilized in areas such as laboratory animal medicine, emergency practice, and management, many others feel they are not working to their full potential. One survey found that 66% of technicians feel highly utilized in practice but that leaves 44% who feel undervalued.1 Should we be satisfied? I urge not only the technician community but the entire veterinary community to consider this preamble. We all want to achieve one simple goal: for veterinary technicians to be allowed to perform their jobs to their fullest potential and to be led to excellence by peers and supervisors, including veterinarians. I would be happy if a single hospital with a long track record of technician underutilization changed as the result of this article. But changing the culture in general must begin with a veteri­narian’s training. Regina Brotherton, DVM, PhD, presented her doctoral dissertation on the effects of collaborative learning on technician utilization.3 She cited how veterinary colleges at Purdue University and Michigan State University collaborate with their technician educational counterparts to foster an environment where veterinary and technician students interact and learn about the veterinary healthcare team. Brotherton contends that collaborative learning fosters an appreciation for the role of members in clinical practice while educating team members about each other’s roles. This emphasizes the need for veterinarians to educate technicians, for technicians to educate each other, and for veterinarians to listen and learn from their technicians. Doctors, if staff members do not possess necessary skills, take time to train them. Veterinary technicians, I strongly urge you to pursue continuing education in the area in which you want to learn or become proficient. The “book work” often cannot be accomplished on-site and it is your responsibility to make the extra effort to learn. Professional development takes sacrifice; do not continually blame your manager or veterinarian for not using your skills if you have not pursued advanced training in a subject. Take a seminar, attend a lecture, enroll in a college course, or attend an online continuing education workshop in your area of interest. 1. Veterinarians do not understand the skills and knowledge technicians possess. 2. Technicians should be proactive and need to educate veterinarians about their entire skill set. Techs, you have to tell your doctor what you can and want to do! Vets, you have to listen to your techs and help them achieve their goals! These factors are compounded by the fact that many veterinarians have not been trained or effectively prepared to formally oversee the veterinary healthcare team, which leads to a breakdown in communication in the practice.3 Communication between team members—veterinarians and technicians—is essential. Many times a hospital will not utilize technicians fully because of a past medical mishap or fear of a future one. (“I don’t let technicians do that because if something goes wrong, I want to be responsible.”) But to any facility currently not delegating appropriate tasks to a technician, I suggest that this truly hinders how wonderful—and profitable—the practice could be. Laws regarding the practice of veterinary technology vary from state to state, but the AVMA dictates that accredited veterinary technology programs certify that their graduates are proficient (although entry-level) in over 300 unique skills, including clinical pathology, surgical assisting, anesthesia, and nutrition. Technicians can fluidly travel from one area to the next, so why aren’t we being utilized? Why haven’t technicians been allowed to claim ownership of the tasks we do the best, such as IV catheters, venipuncture, or intubation? A very critical patient comes in. The veterinarian begins assessing the animal and the technician grabs a catheter to start an IV. After one or two really good attempts, IV catheterization is still unsuccessful. The veterinarian, instead of respecting the technician’s skills, pushes the technician aside to place the catheter. Without making the assumption that this happens everywhere, this is a story directly from my own experience. The veterinarian’s responsibility should be to perform the physical exam and decide on a treatment plan. Just as veterinarians may encounter difficulty sorting a patient’s problems (Is this patient in shock? Why? What is my physical exam not telling me? ), technicians may encounter a problem placing the IV once or twice. Yet the scenario above reflects a disrespect of my primary duty as a technician: IV catheter placement. Ideally, veterinarians should respect the role that technicians play and allow them to perform the tasks they were hired for. There are certain aspects of care that we are legally barred from performing, such as diagnosis and surgery, and rightfully so; technicians are not trained in those areas. However, we need the entire veterinary community to recognize our skills and strengths. It’s time for the profession as a whole to work together to meet the growing demand for excellent pet healthcare. Providing quality services requires attracting and maintaining a professional, highly trained staff. Both of these tenets can be effectively realized by engaging veterinary technicians to their maximal potential. 1. Survey results: Are veterinary technicians valued? Firstline, March 2011. 2. AVMA Policy on Veterinary Technology. American Veterinary Medical Association Committee on Veterinary Technician Education and Activities (CVTEA). www.avma.org/education/cvea/cvtea_policy.asp. Accessed November 12, 2011. 3. The effect of collaborative learning between veterinarians and veterinary technicians on the utilization of veterinary technicians by practicing veterinarians. Brotherton R. ProQuest, 2011. 4. Technician utilization, again. Dobbs K. Veterinary Practice News Editorial Blog. February 2010. Accessed November 12, 2011.